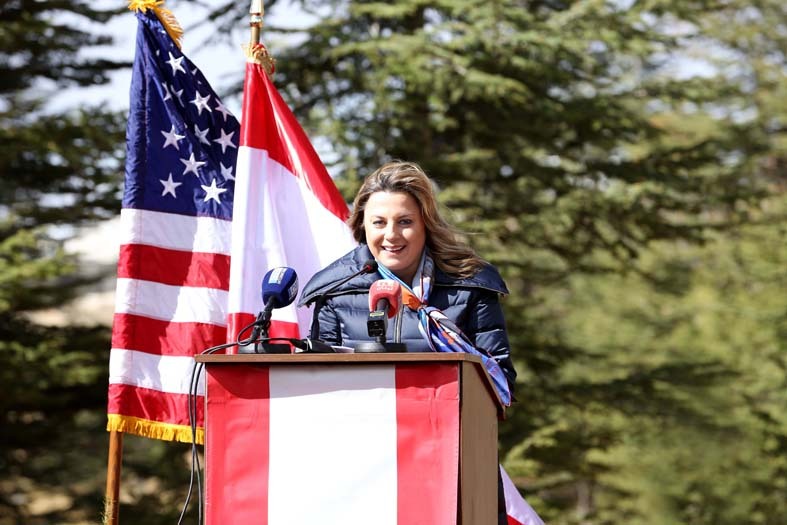 Due to her interest in environmental issues and the increase of green spaces, the First Lady of Lebanon Nadia Chami Aoun, accompanied by Claudine Aoun Roukoz, president of the National Commission of Lebanese woman, sponsored on November 5, 2017 a plantation day, in collaboration with Becharre municipality and the committee of friends of the Cedars Forest. 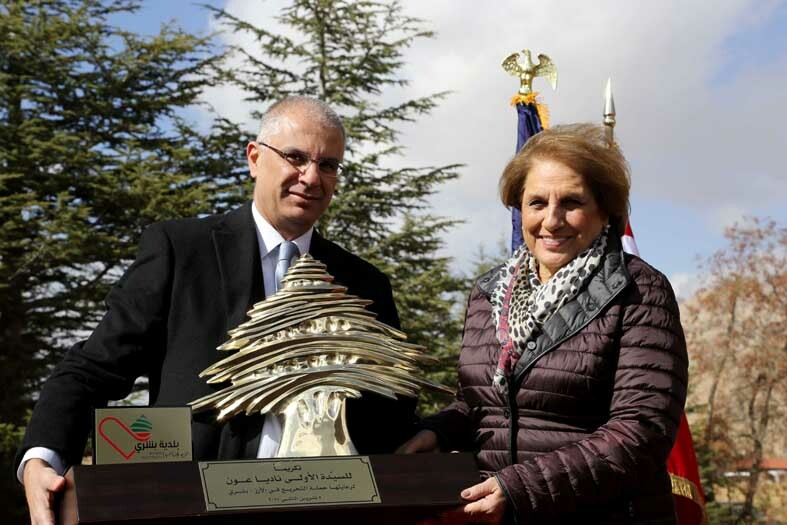 Organized by LRI, Lebanon Reforestation Initiative and financed by the American Agency For International Development USAID, part of the campaign aiming to protect endangered trees. 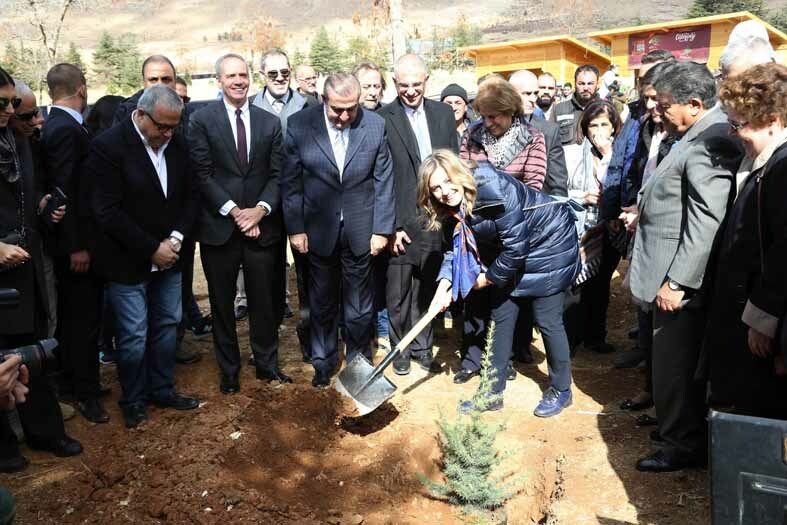 The program of the day included the plantation of 5000 cedar plants by volunteers from Becharre and the neighboring villages, as well as students from various Lebanese regions. Claudine Aoun Roukoz planting a cedar. 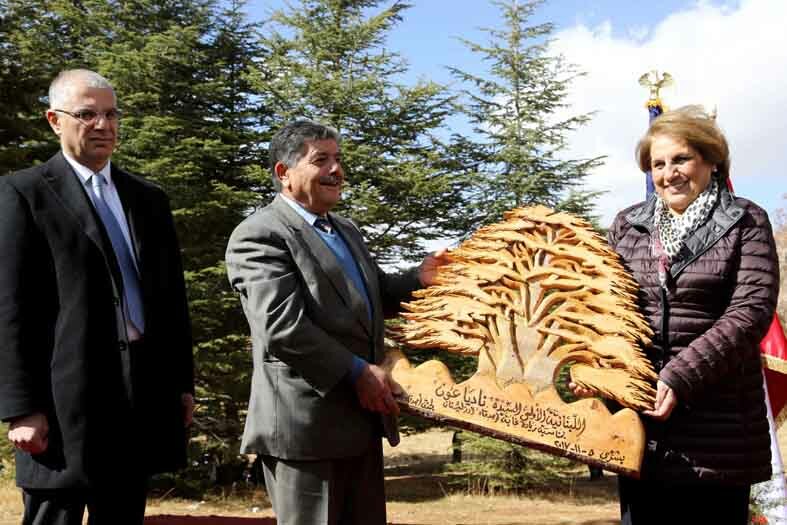 The First Lady receiving a bronze cedar from Freddy Kairouz the president of Becharre municipality. Claudine Aoun Roukoz pronouncing her speech.